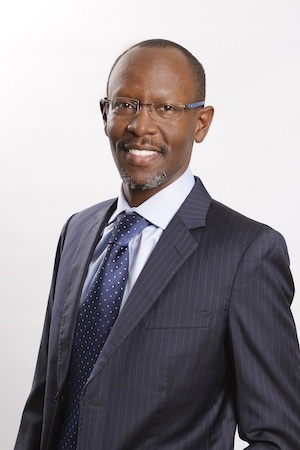 Leading provider of content and technology solutions, LexisNexis South Africa, recently appointed Stephen Okelo-Odongo as Chief Operating Officer, while Gcobisa Ntshona has been appointed as Human Resources Director. “The appointment of a COO is aimed at enabling our business to enhance its operational effectiveness and will ensure that I am able to focus on the more strategic and customer facing aspects of my own role,” said CEO Billy Last, who has been at the helm of the company for 25 years. Okelo-Odongo’s responsibilities cover LexisNexis’ day-to-day operations in South African and anglophone Africa, reporting directly to the CEO and managing and leading the company’s Legal Information & Compliance, Data Services and Business Software Solutions business units. His areas of focus include strategy, business development as well as marketing and communications. He is also responsible for developing the company’s strategy and positioning the organisation as the key driver of legal technology and innovation in the region. Okelo-Odongo has over 20 years of experience with a strong technology and telecommunications focus covering the Africa, Middle East and South East Asian markets. He cultivated a track record of developing innovative solutions that deliver bottom-line results at organisations including General Electric, Neotel and McKinsey & Company. His international career experience includes tenures at Booz Allen Hamilton Inc., an American management and information technology consulting firm, as well as Wireless Facilities Inc (WFI) and TRW Space and Electronics. He holds a Bachelor of Science from Georgia Institute of Technology, a Master of Science in Electrical Engineering from Stanford University and an MBA from IMD in Switzerland. Meanwhile, Ntshona, who originally hails from Motherwell in Nelson Mandela Bay, is a dynamic Human Resources professional who has delivered solid business results at companies including Barclays Africa Group Limited and Shell SA. 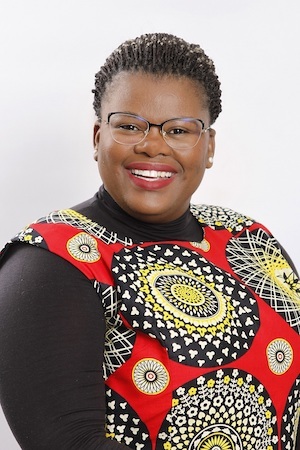 Her qualifications include an Honours degree in Industrial Relations and Human Resources from Nelson Mandela Metropolitan University and she is presently completing an MBA. She also completed the Management Advanced Programme at the University of the Witwatersrand. Ntshona is tasked with spearheading LexisNexis South Africa’s Human Capital strategy, driving employee engagement and talent management, and establishing the company as an employer of choice as it continues its expansion strategy across the spheres of legal information and compliance, data services and business software solutions. Stephen Okelo-Odongo (left) is the new COO at LexisNexis South Africa, while Gcobisa Ntshona (right) has been appointed as Human Resources Director.